Camping in a stunning landscape is an experience not to be missed. There is no better lakeland location for UK camping than Sykeside. Surrounded by such lofty fells as Dove Crag, Hart Crag and Fairfield, you’re guaranteed a gorgeous view wherever you pitch your tent. Sykeside is situated close to Brothers Water, one of the region’s smallest lakes and home to trout and the schelly, a rare species of fish. And if you’re a keen walker, there are footpaths aplenty all around the site. Nearby, the pretty market town of Ambleside is a must for any itinerary. Located in the heart of the Lake District, it offers countless cafés, restaurants, shops and other attractions. 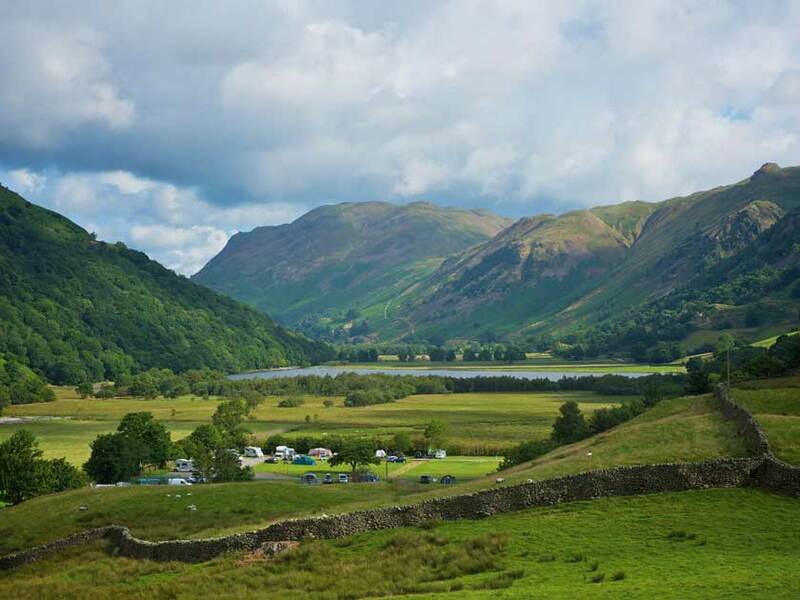 But for those opting to chill out at the campsite, make sure you pop along to on-site Brotherswater Inn, where friendly staff serve local ale and dish up a scrumptious array of food. Excellent facilities are what you expect from a modern campsite, and Sykeside’s include toilets, showers, laundry, dishwashing area and a well-stocked shop. Enjoy a cruise on nearby Ullswater, among England’s most beautiful lakes. Ullswater Steamers (ullswater-steamers.co.uk) have been operating cruises for over 150 years so hop aboard. 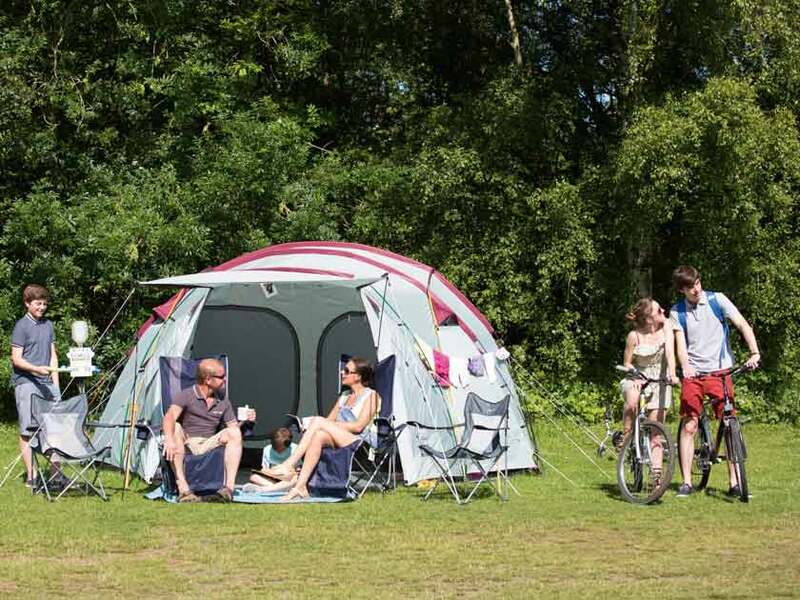 Sykeside Camping Park (01768 482239; sykeside.co.uk) from £13.50 per standard pitch (based on two adults, one tent and a vehicle). Open all year, except Christmas Day. 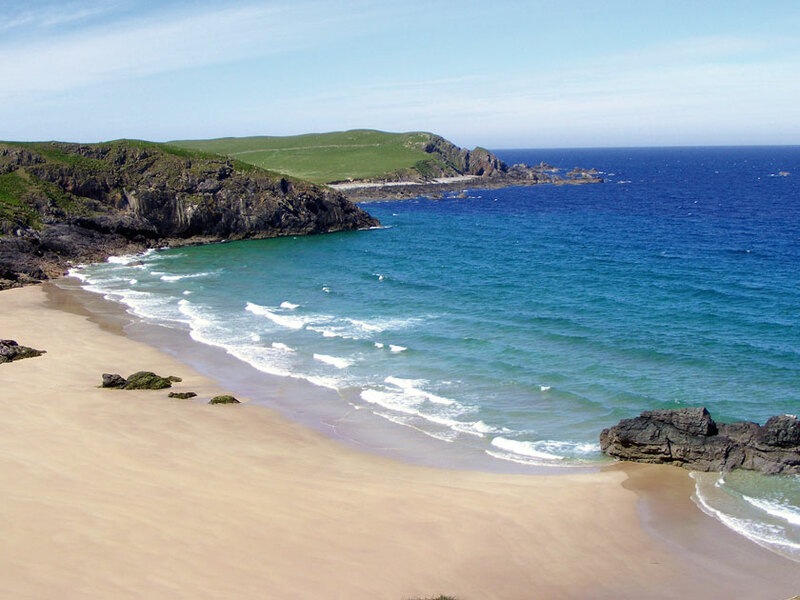 Located on the cliff tops above award-winning beaches, Sango Sands Oasis Campsite in the village of Durness offers sensational sea views to those looking for a coastal UK camping holiday. Sutherland is among the least populated regions of Britain, and its remoteness combined with emptiness affords visitors a real sense of space on its golden sandy beaches. Most pitches on this ten-acre site are level and well-drained. Facilities include toilets, showers, dishwashing area, laundry and a camper’s kitchen with free gas. 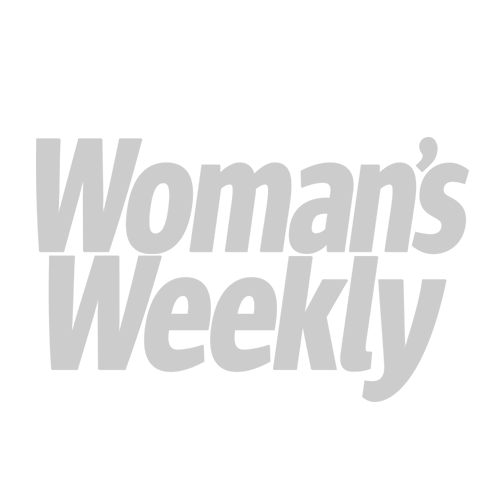 Alternatively, you can dine at the restaurant and bar, which supply wholesome food and drink, and a warm welcome too. While relaxing and soaking up the views, keep your eyes peeled for the whales, seals and bottlenose dolphins which frequent these waters. This family-run site is a perfect base for exploring the local area, where highlights include Smoo Cave, Britain’s largest sea cave. Visit Cape Wrath, the most north-westerly point of mainland UK, and a site of special scientific interest, being home to thousands of birds, including puffins and kittiwakes. On a clear day, gaze out across the sea to Orkney and the Outer Hebrides. £7 per adult, per night; first child £5, second £3, thereafter free (under 5s free). Open April-October. 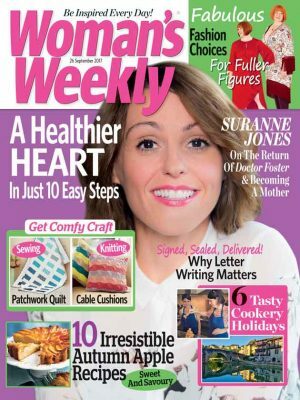 Stay for free between November and March. Sutherland is among the least populated regions of Britain. Situated in the heart of Snowdonia, below mighty Snowdon, Llyn Gwynant is the nature lovers’ campsite. Blessed by beautiful scenery at the head of a lake, it’s an ideal base for walking, swimming and other adventure activities. Alternatively, relax amid the natural beauty, sit beside the lake or chat around your campfire. With no radios allowed and no mobile signal, you can expect peace and quiet in what the owners describe as ‘a place to camp that suits you’ because there are no set pitches. The campsite isn’t over-developed but has all the essentials you’ll need, including toilets, hot showers and dishwashing facilities. 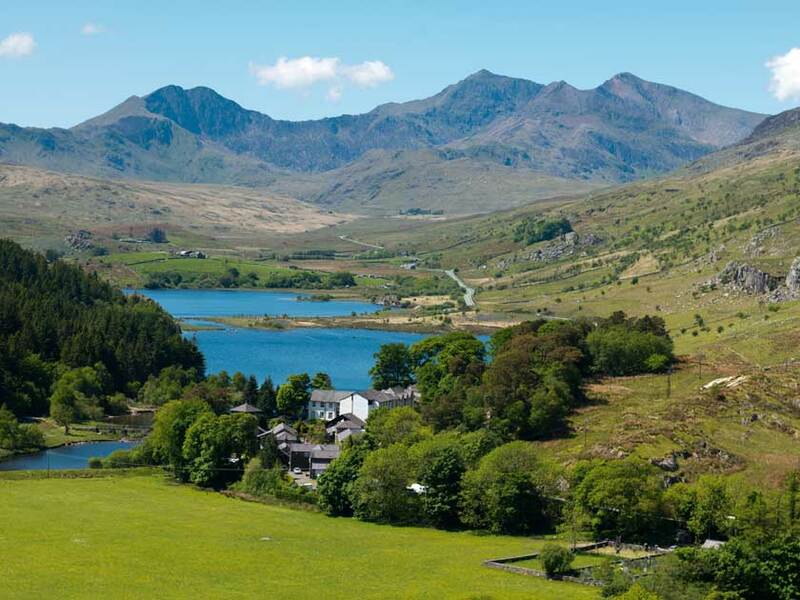 Being an ideal Snowdon base camp, don hiking boots and climb Wales’ highest mountain or trek part of the route, enjoying fab views along the way. Llyn Gwynant Campsite (01766 890302; gwynant.com) from £9 per adult, per night; children £5 (under 5s free). Open March-November, weekends during winter. Spread across two fields, this site is a stone’s throw from the rugged Cornish cliffs, so big sea views are plentiful. Walkers are spoilt for choice by the numerous footpaths in the locality, while sun-lovers and families can enjoy the splendid beaches: Pedn Vounder, alias Treen Beach, and the powder-white sands at Porthcurno. The campsite’s southerly aspect means you enjoy good light all day and although there are no set pitches, plenty of room is always maintained for recreation areas. So popular is the site that some campers return each year (one couple has been visiting regularly have been regulars for over five decades). Although facilities may be basic, they are well maintained, but the onsite shop is well stocked. 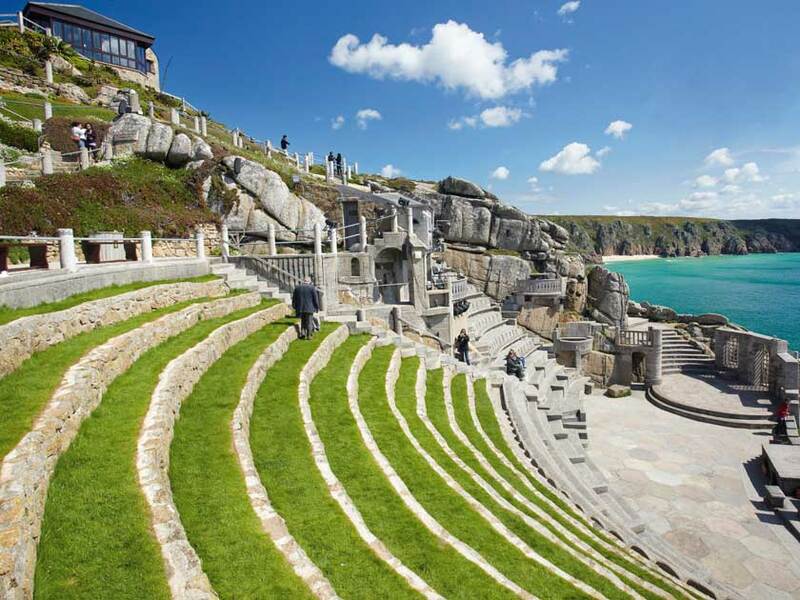 Stroll along the clifftop to the world-famous Minack Theatre (minack.com), an open-air theatre carved out of granite cliffs, four miles from Land’s End. Built during the 1920s, dramas, musicals, operas and readings take place during the year. Treen Farm Campsite (07598 469322; treenfarmcampsite.co.uk) from £5 per adult, per night; children aged 4-10, £2; ages 11-15, £3. Car £1 and tent prices £2-£4. Open March-October. If you like the idea of having plenty to do on a UK camping trip in a calm rural setting, then look no further than Tattershall Lakes Country Park. Campers can choose between two areas to erect their tent: Little Hollow, located in the heart of the park and Woodland Retreat, a ten-minute walk from the main facilities in a quieter spot. Take to the water and try your luck at jetskiing, water skiing or fishing, or a dip in the heated indoor pool or jump in the lakeside hot-tubs. And in the evening, eat at the on-site restaurant before being entertained at the clubhouse. One thing is certain – you’ll never be short of things to do at this popular site surrounded by the rolling green Lincolnshire landscape. Visit Lincoln and explore its many attractions, including the 11th-century castle and the Gothic cathedral. Tattershall Lakes Country Park (01526 348800; tattershall-lakes.com) from £6 per standard pitch per night. Open March-October. The Lincolnshire countryside is perfect for relaxing and cycling.